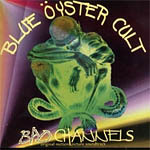 Bad Channels is the soundtrack album of the science fiction spoof film of the same name, It featuring songs by the bands Blue Öyster Cult, Fair Game and Sykotik Sinfoney, and released in 1992. 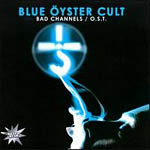 This is actually NOT a Blue Öyster Cult album, but the two first songs ar performed by them. These two songs doesn't exist anywhere but on this CD which is the soundtrack to the movie Bad Channels. "Demon's Kiss" and the oustanding song "The Horsemen Arrive". Track 12 - 30 is also performed by them, but it's just the original score for the movie. Other bands on the CD is Joker , Fair Game (featuring Ron Keel), Sykotik Sinfoney, DMT, The Ukelaliens. Release on Angel Air Records in 1999 with different artwork. Re-issue on Angel Air Records in 2009 with again different artwork.